Toner - Learn which Annmarie Skin care Toner is Right for You! Annmarie Skin Care > Organic Skin Care Products > Which Annmarie Skin Care Toner is Right for Me? Which Annmarie Skin Care Toner is Right for Me? Part of helping people learn how to take good care of their bodies (including their skin, of course) is teaching the differences between my products. It's very important that people know which products are right for their specific skin type and the issues they deal with, so that they are best able to treat their skin conditions. Take this chance to learn why toner is great for your skin, and which Annmarie Skin Care toner is best for you! Using a toner is a great way to take care of your skin. They can be refreshing and add a little zip of energy to your daily routine. Some toners are great for helping oily skin, while others provide a more soothing benefit. One thing's for certain, toners are a great follow up to cleansing the skin. 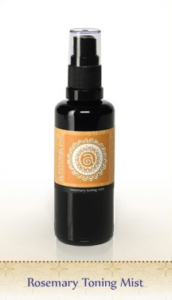 Made from 100% organic Neroli hydrosol, my Neroli Toning Mist is made from orange blossoms. 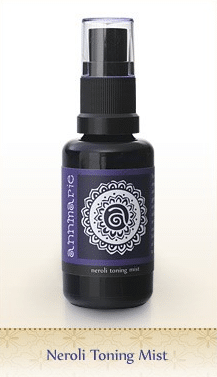 This organic toner is perfect for calming and soothing, as well as balancing. Nearly anyone can benefit from this product. Some who use it even experience a reduction in the size and appearance of their pores- resulting in a more even tone and texture all over! The scent is very calming and relaxing, and is great for uplifting the psyche and de-stressing. To use it, simply spray it on your face; I like to spray it for a little “pick me up” throughout the day! My Rosemary Toning Mist is the perfect toner for those with oily or sensitive skin types. You may also notice a slightly stronger scent with this product than the Neroli Toning Mist, but that's simply the nature of Rosemary. This toner can either be applied by spraying it on your skin, or dabbing it on with a cotton ball. No matter which toner you choose, you're sure to be pleased!